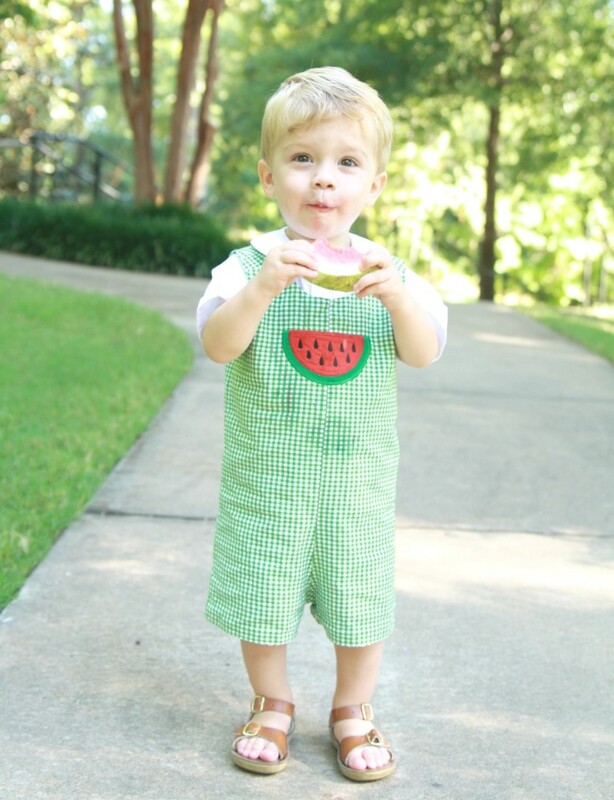 The photo opportunites are endless with a watermelon shirt or watermelon shortall- because cute little boys are even cuter when eating watermelon in the summertime! 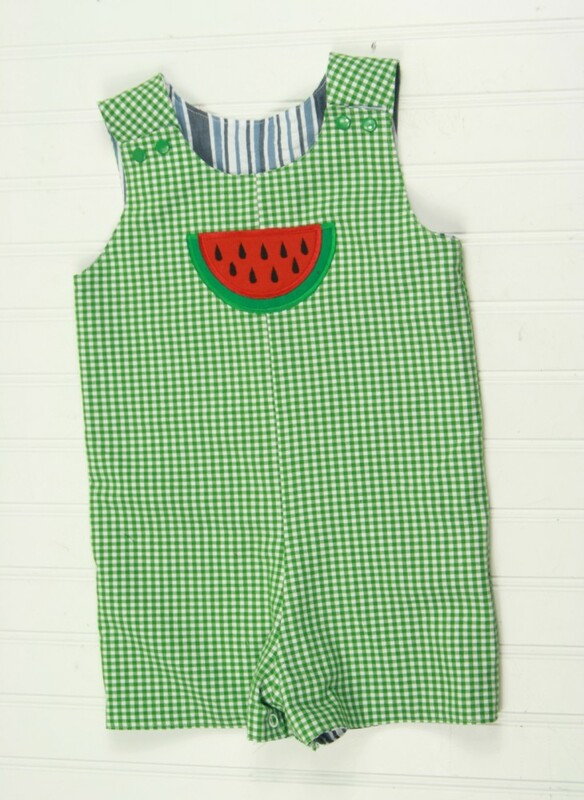 The fabric is high quality and comfortable cotton gingham. It’s lined in 100% cotton and is very breathable for summer. It looks cute alone, with a bodysuit, or with a collared shirt underneath. 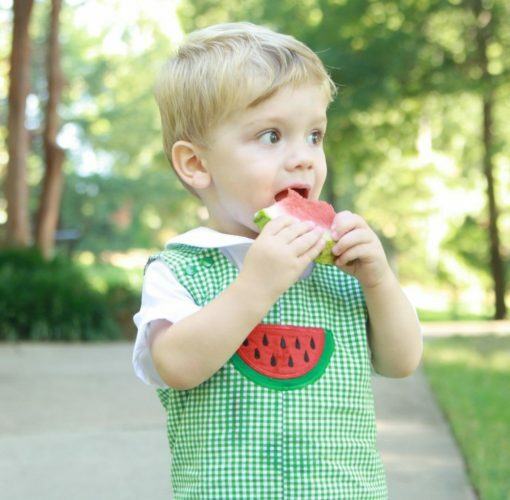 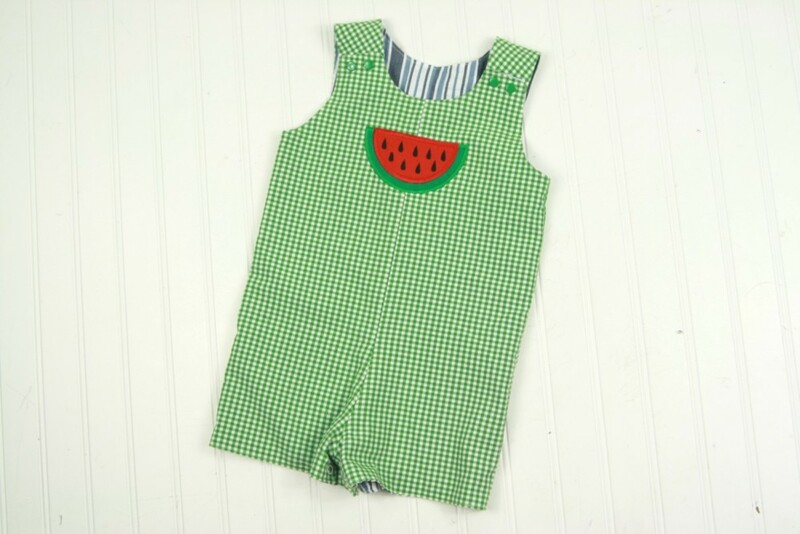 This romper is made from green gingham and appliqued with a watermelon. 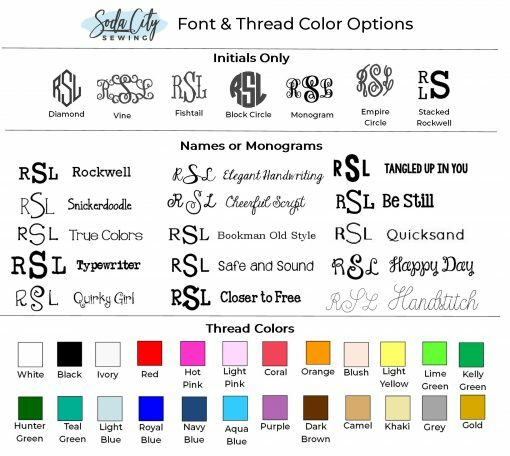 Choose to add a name or initials, or leave it plain. 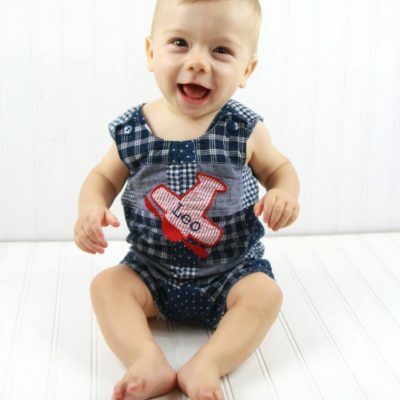 It has snaps at shoulders for easy on and off, and snaps at the legs for easy diaper changes. 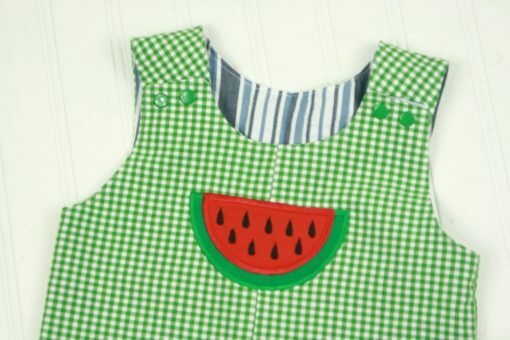 They’re completely machine washable so he can wear it again and again! 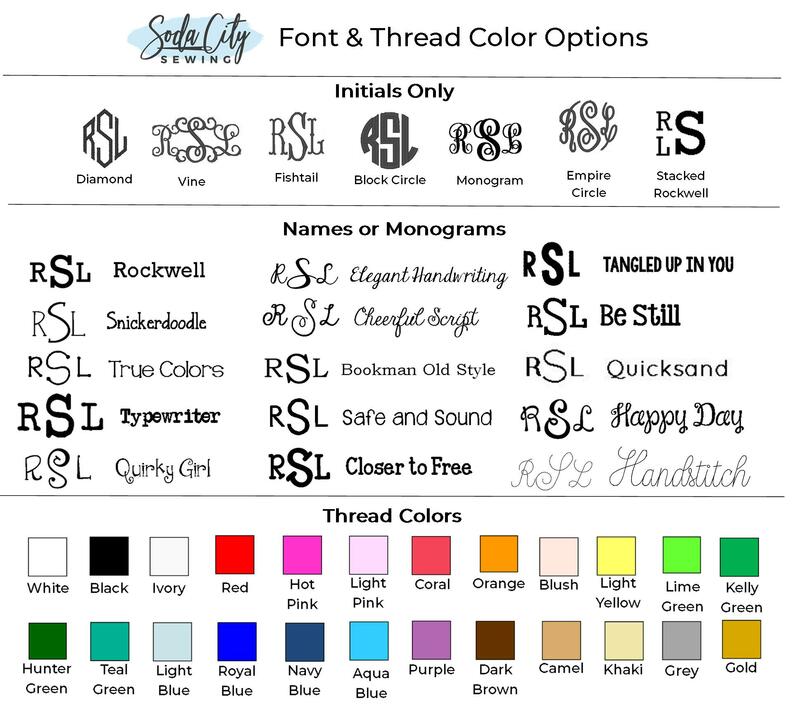 SIZING: Check the size chart to determine the best fitting size at www.sodacitysewing.com/fontsizing Measure against a well fitting cotton (not knit) garment if possible. 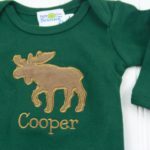 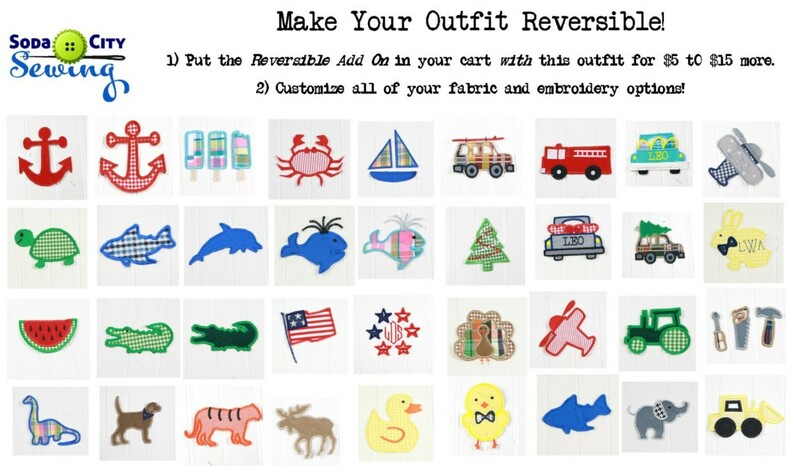 Thanks for visiting Soda City Sewing, where we make personalized summer baby clothes just for you!